It’s the portfolio that manages all things environmental related to our event. Department of Environmental Action and Re-Generation. The reason that the word ‘regeneration’ has been included is because the concept of ‘sustainability’ lacks the progression towards restoring natural balance. After all: if we are to simply sustain the downward trajectory that our environment is in, we wouldn’t be arresting that decline. Burners are environmentalists. It’s just our nature. This is the principle that informs our approach to waste and our impact on the environment. It applies to our approach at any AfrikaBurn event, whether in the Tankwa Karoo or elsewhere (such as our Decompression, Streetopia or ParkOff events). To learn more about Leave No Trace, check out this page. For some years, the volunteers who managed MOOP on site in Tankwa Town have been referred to as either our LNT squad, or our MOOP team. This specifically refers to the crew that stalk the dust after our event every year, locating and picking up all traces left behind (such as thread, matches, cigarette butts, glitter, sequins, cable ties, nails etc). D.E.A.R.’s mission is to protect and improve our natural environment as well as consistently increase awareness of this environment amongst all of our community. Tankwa Town is fundamentally different from most other human settlements in one specific way – it’s temporary. It exists for a short while in a recovering wilderness. This environment and the conservation of all nature is the focus of the D.E.A.R. Not only do we work to conserve our natural environment but we also aim to improve life for all fauna and flora in our surroundings. We recognise that humans are an integral part of nature and that as a species we are extremely well positioned and equipped to make improvements rather than reinforce the old paradigm of consumption, waste and destruction. D.E.A.R’s vision is that one day every person in our community will think about our environment first before any action happens, for the benefit of all life on the earth under our feet and our continued existence upon it. 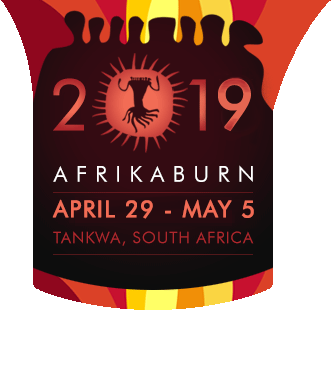 In this regard, AfrikaBurn is an opportunity to experiment for change, invent the world anew and then apply the results – both in tankwa Town, and beyond. What can D.E.A.R. do for you? We put the resources at your fingertips and it’s up to you to make the most out of these super resources of accumulated experience. Share it with your campmates while you’re planning your trip and share the info with your neighbours onsite! Make your MOOP Confessions and Confirmations!